Join Us at the AEF September Happy Hour! 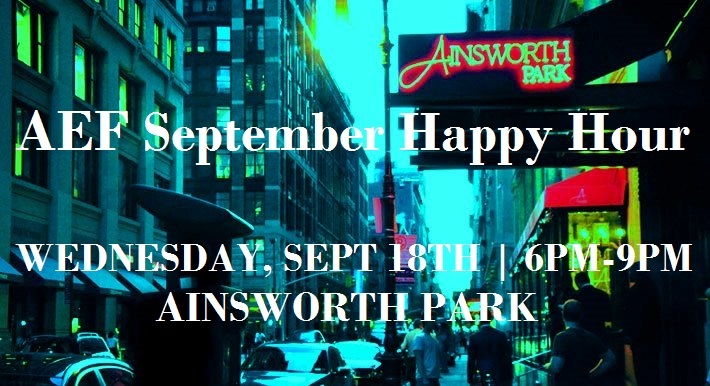 We’d like to invite you to our September Happy Hour on Wednesday, September 18th at 6:00 pm at Ainsworth Park (111 E 18th St). Come join us to send the summer off with cocktails and mingle with AEF supporters and friends. We are also excited to announce that we will be hosting our First Annual Gala in February of 2014 and are looking for Gala planning committee members. If you are interested in joining our gala-planning committee, please email ascendfundny@gmail.com or come to the happy hour to learn more! You can also stay up to date on future events here. 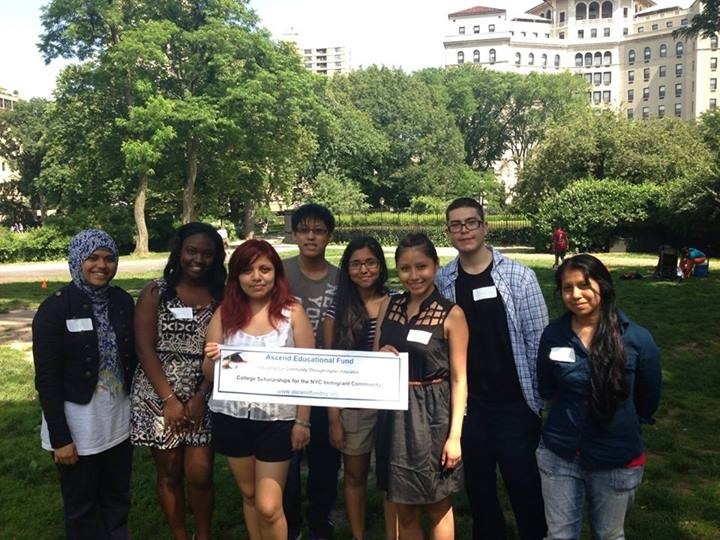 Beginning this May, Ascend will award scholarships ranging from $2,500-$20,000, based on need, to immigrant high school students, regardless of ethnicity, national origin, or immigration status, living in the five boroughs of New York City- Brooklyn, Bronx, Manhattan, Queens, and Staten Island. Students are eligible for the 2013 scholarship if they: (1) were born outside the United States or have two parents born outside the United States, (2) are graduating seniors at a high school in New York City, and (3) intend to enroll full-time at an accredited public or private college or university for the 2013-2014 academic year. Applicants must demonstrate a history of academic success and perseverance. With these criteria, Ascend Educational Fund intends to help bridge the gap for students who are high achieving and perseverant, but may not have the resources necessary to pursue higher education. “With 60% of New York City students being immigrants or children of immigrants, we want to create a platform for these individuals to pursue higher education and achieve their dreams. And with one out of every five New York City residents living in poverty, and 30% of children 18 and younger living in poverty, we can’t think of a better way to support our community than to help provide access to higher education opportunities,” stated Adrienne Serrato, Chair of the Mentorship Committee. New York City is one of the most diverse immigrant communities in the nation, with individuals hailing from China, Dominican Republic, Jamaica, Guyana, Mexico, Ecuador, Russia, Korea, India, Colombia, and the Ukraine, to name a few, according to the Mayor’s Office of Immigrant Affairs. For further information contact ascendfundny@gmail.com. For application materials, visit www.ascendfundny.org. Applications must be submitted by April 1st, 2013. About Ascend Educational Fund, Inc.
Ascend Education Fund, Inc. was established in 2012 to help high school students of exceptional promise reach their full potential through education. Ascend Educational Fund focuses in particular on students that were born outside the United States or have two parents born outside the United States and have a history of academic success and perseverance. Scholarship recipients are selected based on qualities traditionally valued and demonstrated by the immigrant community including hard work, resourcefulness, perseverance, academic achievement, leadership, and commitment to one’s community. Our mission is straightforward- to enable and encourage higher education and professional achievement for immigrant children and children of immigrant families. 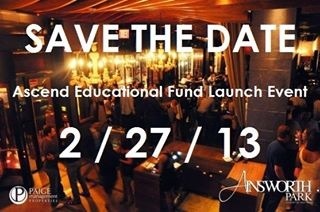 For more information, visit www.ascendfundny.org.